You have been with a job for over five years, and you know all the ins-and-outs. The business model is becoming clear: You can start to see avenues of growth for your company that it’s not using and, now, you’re getting frustrated that your ideas are going unnoticed. Every day, you go to work proud of what you accomplish, even if the job isn’t in the field you always thought you would work in. Then it hits you: This is your career. For some, this is terrifying as they realize they have put years of work and are too far along to quit without major financial repercussions. For others, it’s a relief as choosing a career was never something that interested them and they just wanted to find something they were good at and do it for a steady paycheck. 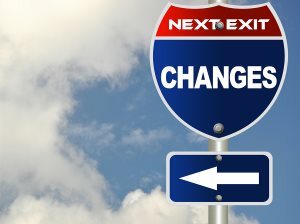 The first clue to knowing you have gone down the path of career instead of temporary job is often in sheer time spent. If you have been working somewhere for more than five years, you are less likely to leave than ever before. Working for a long time in one place is good for you in many ways as it improves your chances of being hired by other companies as you seem dependable, and for the same reason your credit score can only rise the longer you hold down a job. Yet, if you are unhappy where you are, it can also be stressful. Most people don’t make it to five years completely unhappy though; so, if you are still sticking around there must be something about what you do that you like. If so, focus on that, and find a way where you could do more of that thing than the other duties you dislike so much. Choosing your career path is one of the most important first steps to take when you realize you are in one. Another tell-tale sign is how much financial dependency you have on a job. If you are in a position that moving would cause great financial harm, you are in a career. If this is something that adds to that earlier stated unhappiness, start saving so you can make your way out with enough to cover your expenses until you find a second job. Otherwise, try to find what promotions are available and what you want out of your career there. Perhaps you want a specific role in the company? Find out what the requirements are for that job and go about achieving them. Go back to school if necessary, many jobs will actually help pay for classes if they are job related. Utilize that opportunity to get a better position. At the end of the day, realizing you are now in a career is not the worst thing you could have happen. Be thankful you have a job where you have been employed steadily and see if you can make good out of the bad parts of your job. If not, prepare yourself for your second career, knowing it will take time to get there.